There are a dozen supertalls (1,000 feet or higher) in the construction or planning stages in Manhattan, many of which are sprouting up along the billionaires’ row hotbed south of Central Park. 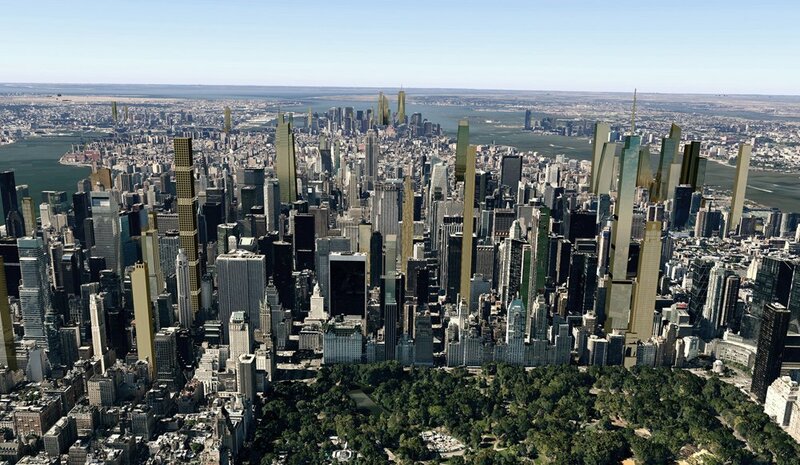 The trend has incensed many New Yorkers because of the shadows these giant towers will cast on the park. 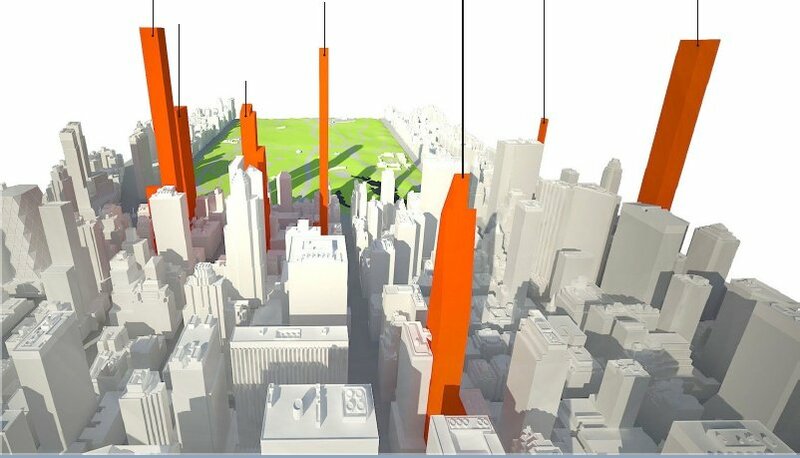 Last month, Councilman Mark Levine introduced legislation to create a task force that will examine, as he put it, “the looming threat of shadows falling on our parks from the rising number of skyscrapers.” A similar group of concerned parties, the Central Park Sunshine Task Force of Community Board 5, met last night to discuss the issue. New York City currently has no restrictions on the shadows a tower may cast. In fact, the city doesn’t limit height, it only regulates FAR (floor area ratio), but developers can buy air rights from adjacent buildings, allowing them to build even higher as of right. For example, the Nordstrom Tower paid $30 million for air rights from the neighboring Art Students League, and it will now reach a height of 1,775 feet. Clayton Smith, Chair of CB5’s Parks and Public Spaces Committee referred to “20-degree temperature differences between light and shadow and how he has already seen reports of reduced use of some playgrounds. He said Central Park is a front yard, not a back yard,” reports Curbed. The Central Park Sunshine Task Force plans to present its recommendations at the full Community Board 5 meeting on May 14th; you can find out more details about the meeting here.